Gloucestershire County Council and the NHS Clinical Commissioning Group are running a survey to ask people with learning disabilities and autism in Gloucestershire what does and does not work for them. This is so that their views can be taken into account in services and support arranged locally. Inclusion Gloucestershire is a charity run by people with disabilities for people with disabilities, and it specialises in making sure disabled people are included, listened to, and have real opportunities. They are helping to gather as many views as possible by organising workshops to make sure the individual, carer, and family voices are heard. To find out more about the survey, the workshops and to complete the survey online, click this link for the relevant section of the County Council website. The survey is open until 2 November 2018. The final findings report will be published by May 2019. 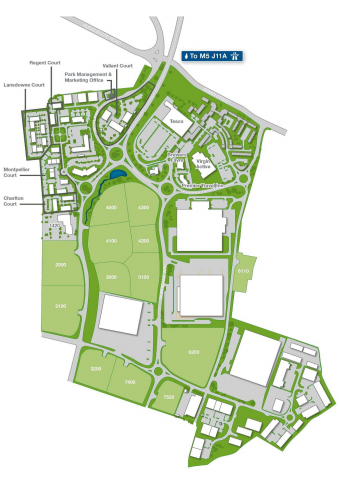 Arlington, owners and developers of Gloucester Business Park, invite you to view and comment on proposals for a new development at Plot 2000. The site comprises 1.8 hectares (4.4 acres) and is situated on the western side of Gloucester Business Park. The site has outline planning permission for office and industrial development. The development consists of a detached three-storey office building and comprises 6,930 sq m (74,595 sq ft) Gross External Area. • Monday 8th October from 3.30pm to 6.30pm.